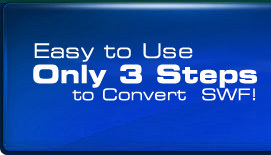 How to convert Flash SWF to VCD/DVD video? Tutorial - 3. 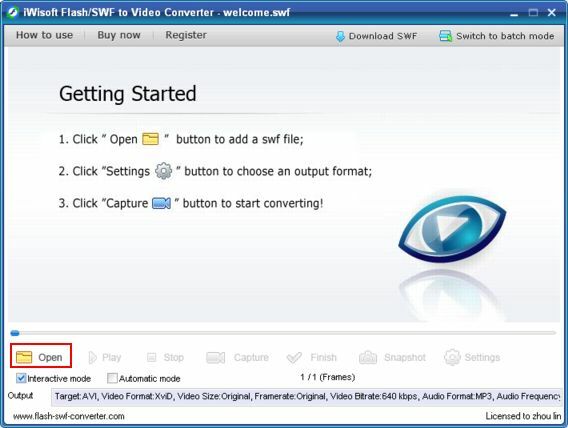 How to convert Flash SWF to MPEG, VCD/DVD compatible video? 2). Click button. 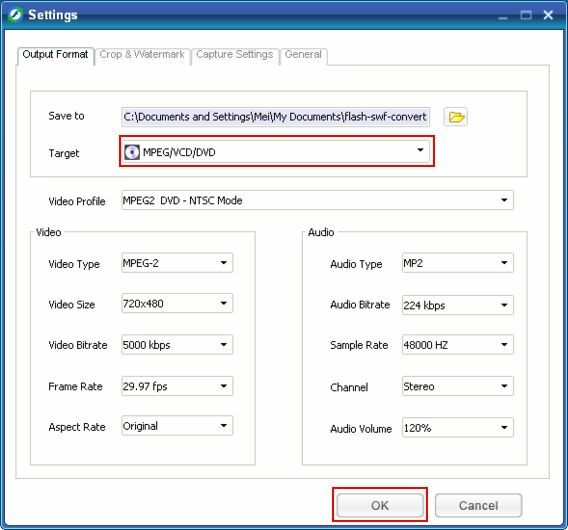 Under "Output Format" tab, select "VCD/DVD" as the target. You can choose a video profile or customize the video and audio parameters as you like. Then click "OK" button to save the settings. 14. How to crop a Flash Movie?